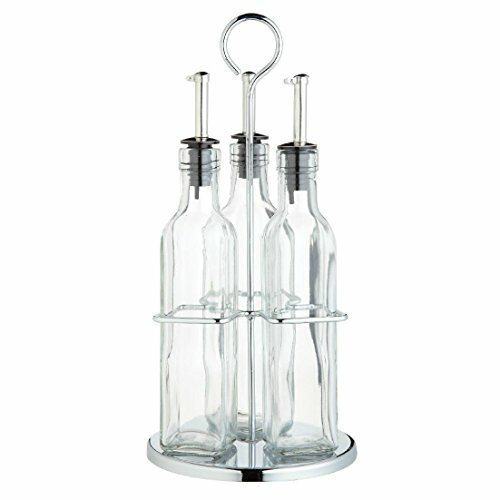 Capture the true essence of authentic Italian cooking with this set of three glass oil and vinegar dispenser bottles. Perfect for adding a drizzle of Italian flavours to liven up salads and pastas, the bottles feature stainless steel pouring spouts to allow for simple and splash free use. Housed in a rotating stand, these bottles are ideal for use in the kitchen or on the table.